The English language from time to time throws up a word or a phrase not generally in widespread usage which suddenly becomes popular. I remember some years ago when “punter” which normally described someone who liked to bet, particularly on racehorses, became a name for almost anybody, no matter what their described actions were. About then the phrase “at this point in time” also became faddish. Linguists were highly critical of the latter, suggesting that it was merely an affectatious way of saying “now”. A name re-entering the lexicon is “populist.” Trendy political parties are now desperate to adhere to the populist line. The candidates can be leftists, centrists or right-wingers. Populists can mean all things to all people. For instance Jeremy Corbin of British Labour Party fame is a populist and so too is French Presidential aspirant Marine Le Pen from the far right. I’m not going to mention Donald Trump due to overuse syndrome. John Key was a populist. He could skilfully gauge the mood of the public and would oscillate either way. Even a swinging pony tail would catch his eye. Andrew Little sees an opportunity now that John Key has left the building to embrace populism. Replacing his eyeglasses for contact lens I expected him any minute to burst into song with Johnny Nash’s 1970s hit “I can see clearly now”. Andrew thought he might tread the populist line by bringing Willie Jackson into the fold. Never mind that Jackson is not even a member of the party and by guaranteeing him a high list seat Mr Little is making Labour’s mandatory gender balance more unbalanced. But what we saw with Brexit and other more obvious political revolutions in the world was that 2016 was the end of the neoliberal political and economic order of the 70s and 80s and 2017 is ushering in the new order of populism. What’s underpinning the rejection of the neoliberal order is undoubtedly the pervasive ignominy of deepening inequality that began in the 1980s. For us it was presented as Rogernomics. This was the birthing stage of an era when children were likely to grow up to be worse off than their parents. The strong gains in overall economic growth accrued to a patriciate group and those at the bottom have become angry. The “trickle down” never even dribbled. Andrew Little got a head start. He opposed the Trans Pacific Partnership free trade agreement despite the fact that his mentor Ms Clark not only initiated the negotiations, but fully embraced the outcome. Now free trade advocates are accused of promoting a system that means gains to one country come at a cost to another. Not necessarily true of course. Trade in the main is good for all participants, making them better off. Rapidly growing international bartering has been a critical element of the massive reduction in global poverty in recent decades. 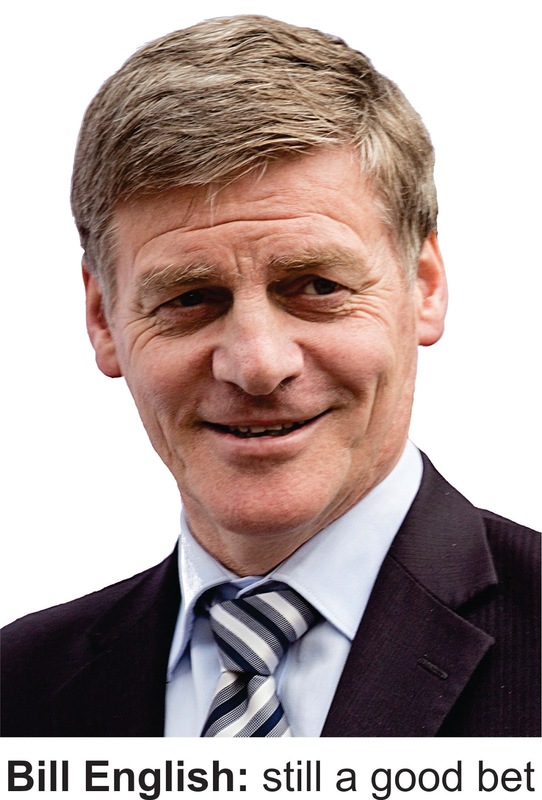 would still put my money on Bill English to win - by a short head.